A fun first search and find full of vehicles on the move! 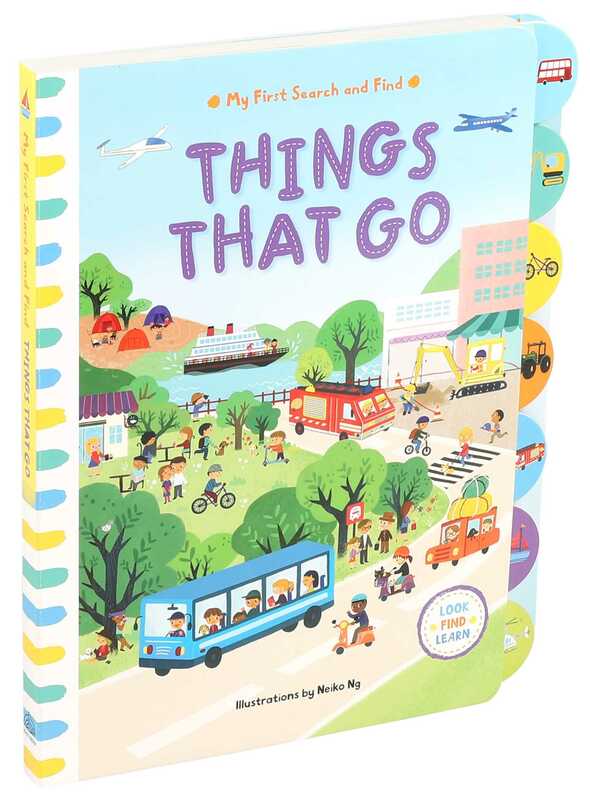 Use the tabs to explore all sorts of busy scenes—from a construction site to an air show—in My First Search and Find: Things That Go! Each spread features a busy, colorful scene with an easy-to read key at the bottom of the spread with objects to find. From a helicopter to a combine harvester, children will be introduced to many types of vehicles and their functions as they search for items in the scenes. Kids can use the sturdy tabs to easily turn to their favorite spread, and find the objects over and over again! Neiko Ng is a Chinese illustrator living and working in San Francisco, CA. She attended the Academy of Art University, where she earned a BFA in illustration. She has worked on a variety of projects in a number of mediums, including children's book illustration, stationery, and textile design. Her previous clients include Hallmark, Chronicle Books, Jumping Jack Press, and SMA. Neiko has illustrated the My First Search and Find series for Campbell.